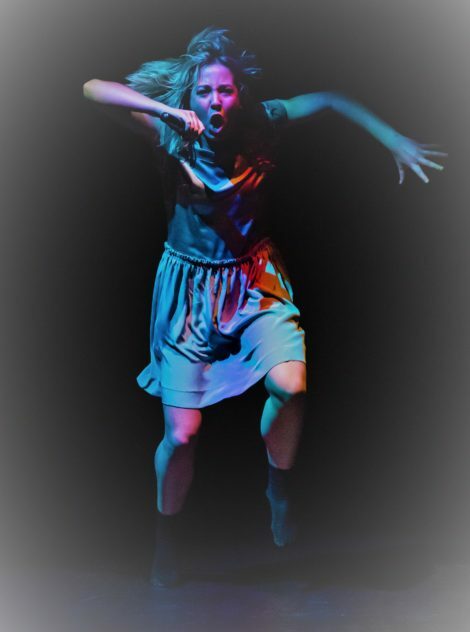 This NZSD Graduation season has all the students performing with a shared confidence and total commitment that offers audiences an energising experience. That is just what Wellingtonians, recently visited by nature’s forces in a major earthquake and subsequent flooding, need for a lift of the spirits. Meistens Mozart by Helgi Tomasson, from 1991, to seven songs by Mozart and others, is a charming little opener with the enjoyment of youth and friendship shared. Beguiling. Taiaroa Royal and Taane Mete, both of them NZSD alumnae, first staged He Taonga – a Gift in 2009. This powerful group work for an all-male cast of 14 dancers evokes the strength of haka, the most tense and intense dance on earth, yet here using more freely scaled movements of arms and torso. Potent. The Pas de Deux Romantique by Jack Carter, from 1977, to Rossini, is staged by Patricia Rianne and Qi Huan. Mayuri Hashimoto and Jeremie Gan perform with a competence and grace that disguises all technical challenges and becomes a joy in motion. Uplifting. 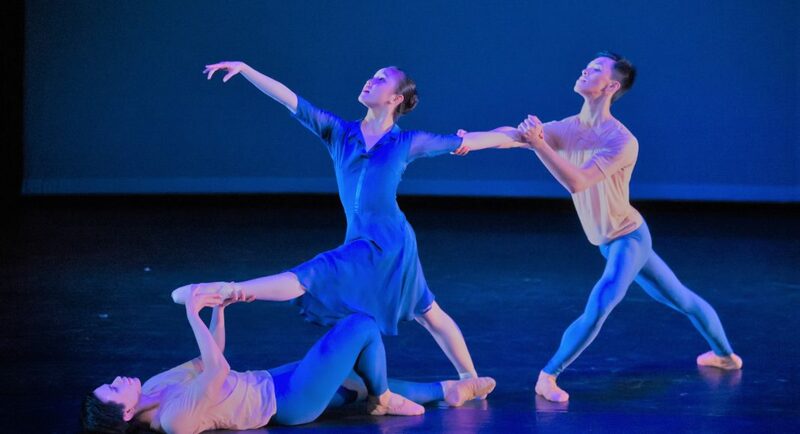 The Wanderer, a solo, was made by Victoria Columbus for George Liang to dance at an international competition. Focussed. Incant – summoning the lost magic of intuition, by Amber Haines, for an all-female cast, proves an enigmatic work exploring things felt and known in the shadow world. Atmospheric. Dance Gallantries, by Jiri Bubenicek, to Bach sonatas and partitas, is a sharp and fast highly sophisticated work that pits ballet pairings into fresh territory by having the dancers dissolve into nano-seconds of invertebrate states here and there between their straight moves. Dazzling. Political Mother, an excerpt from Hofesh Schechter’s work which was in a recent International Arts Festival here, is staged by Sam Coren. It is given a searing, tight and impressive delivery by a galvanized group of dancers who work with remarkable rapport. Urgent. The final Tempo di Valse, by Nadine Tyson, to Tchaikovsky’s Waltz of the Flowers, is a return to safe haven, where the sequences and formations are carried with aplomb by a large ensemble of graceful movers. Cadence. 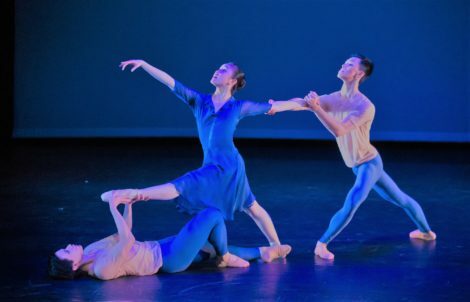 The program is one of striking contrasts in choreography old and new, across ballet and contemporary dance, which are kept as two separate streams in the NZSD curriculum. 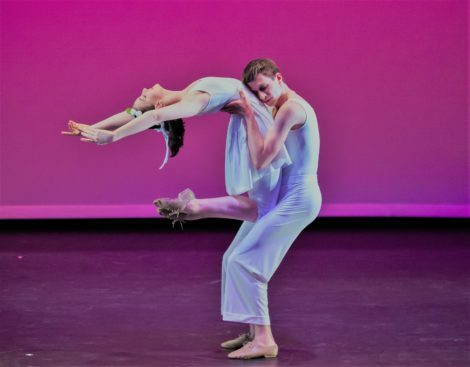 Given the realities of the professional dance world where many a company demands a spectrum of strengths in styles across both traditional and new repertoire, one wonders what a work danced by students from both streams combined, would be like. It’s just possible that Taonga does that already, but if so, a program note to that effect would offer us great insight towards a bi-cultural dance society, and closer link between NZSD and RNZB. Choreography by José Limon, Jiri Kylian, Michael Parmenter, Douglas Wright, Eric Languet, Cameron Mcmillan, Andrew Simmons, Neil Ieremeia, Daniel Belton, Malia Johnston and Laura Jones all come to mind, and that’s just for starters. Thought-provoking. One’s every good wish goes to the students striking out for the next stage of their careers. A graduate company where they might test those waters would be a dream destination. Dreams are free, but do also sometimes come true. With respect, I offer this paragraph as a gauntlet. Jennifer, I am amazed at the range of choreography that these graduate students are given. It comes from across the world and covers so many eras. Thank you for giving us this insight.